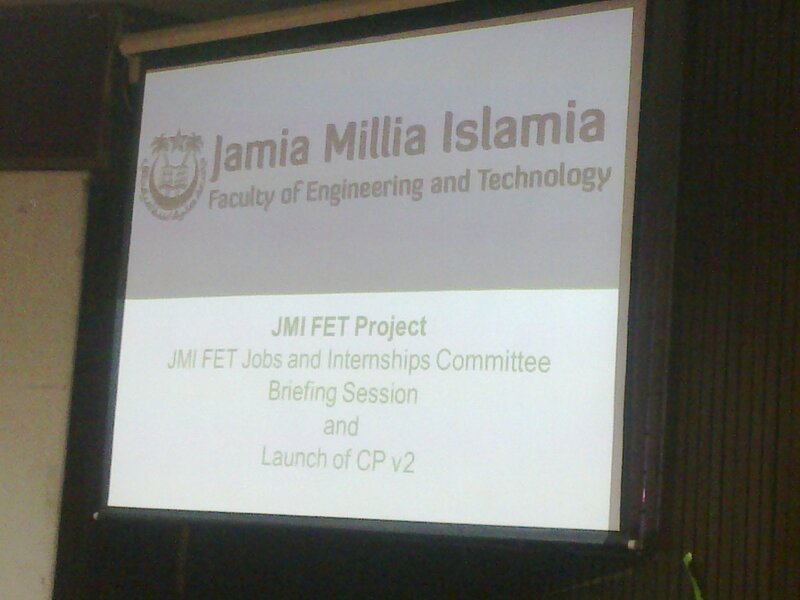 Keeping in view the buzz that had been created about the Project JMIFET and the interest that people showed in volunteering for its various teams, a briefing session was organized of the Jobs and Internship Committee. The event saw an enthusiastic audience of over 300 students from the Faculty of Engineering and Technology and turned out to be yet another successful event to be organized by the Coordinators. 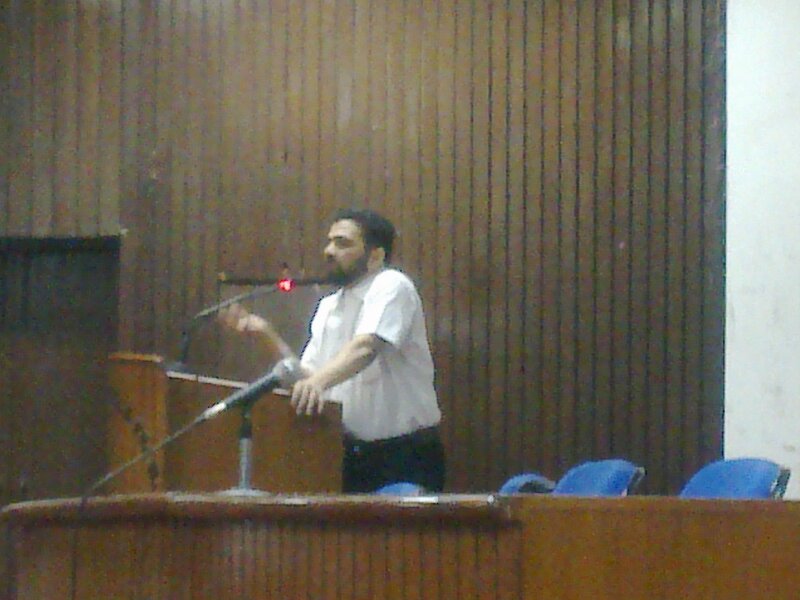 The Session started with the introduction by the Training and Placement Officer, Mr. Rihan Khan Suri who is also the Administrative Coordinator of Project JMIFET. He explained the vision of the project and told how this was an initiative by the students, for the students. He also asked the students to take it up actively and not to hesitate in enrolling themselves as everyone had the caliber to be part of one team or the other. He urged the students to be a part of the Dream project as this gave them a chance to pay back to the University for the 4 years they spent here. Also this was an amazing opportunity to improve the placement and internship scenario of the Faculty of Engineering and Technology. After the Briefing Session, Imran Ali, ECE 4th year and one of the Project Coordinators of the project gave a presentation on the structure and organization of the Jobs and Internship Committee and how it was going to approach in the coming days. 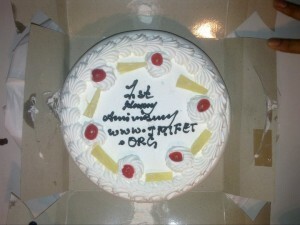 The Students were briefed about the formation of the two Committees viz. Jobs Team and Internship Team. Both the teams are to act independently on their specific plans of action catering to only their own roles. Two Placement Coordinators are to be selected from third year and are to be supported by two shadow placement coordinators from second year. This has been implemented keeping in mind the mayhem that is created with a large number of Placement Coordinators. Many ways for improving the Placement scenario were also discussed like making an AV with feedbacks from various Alumni, Revamp of the Placement Brochure by taking inputs from the corporate of Fortune 500 Companies and allocation of a dedicated workplace for the placement coordinators with the digitization of all the placement statistics. 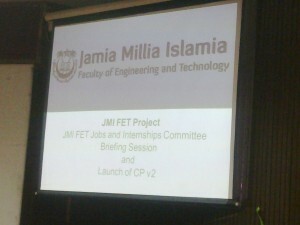 The Placement Team registrations are to take place online at www.jmifet.org which will be followed by a grilling interview session. Henceforth, only an elite league of placement coordinators will be selected. The event also hosted the roll out of the revamped version of the community portal, JMIFET CPv2. The Community portal is an integral part for the student- student and student-alumni interaction and the humongous amount of traffic that it has seen in the recent days has led to the up gradation of the same. The best is yet to come with the launch of the Information Portal and the Jobs and Internship Portal. And with this, the Faculty of Engineering & Technology is ready to witness a revolution that will change its scenario forever! Get ready for the change, since it will encompass one and all!